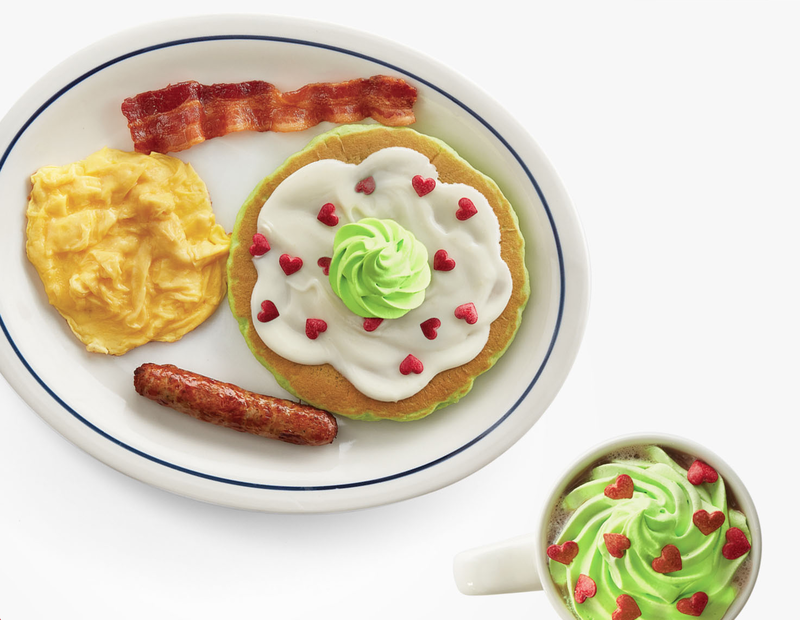 IHOP Grinch's Green Pancakes: STEELING CHRISTMAS! 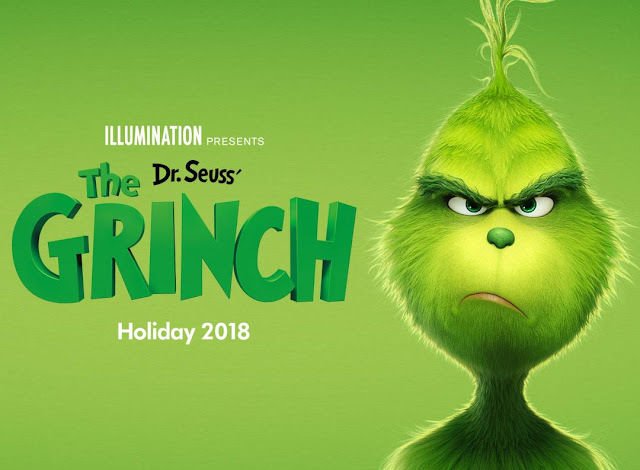 IHOP is celebrating Dr. Seuss' The Grinch (in theaters now) with NEW Grinch's Green Pancakes! These grumpy flapjacks feature green buttermilk pancakes slathered in sweet cream cheese icing and red candy hearts, all finished off with a healthy dollop of green whipped topping. While these curmudgeonly hotcakes look outrageous they taste just like regular buttermilk pancakes. The cream cheese icing adds a subtle sweetness and the fluffy whipped topping contributes a smooth creaminess. The red candy hearts look pretty but add only a dull, chalky bite. We somewhat enjoyed these promotional pancakes which needed a generous amount of syrup to help them along. IHOP is also offering Minty Who-Hot Chocolate and a Who-Roast Beef Omelette as part of this Grinch movie promotion. For a limited time only.